All other questions about Train Effective that doesn't fit elsewhere. A really common complaint is feeling like you're doing a lot of training but not feeling the same level of confidence in a match. A teenager recently said this to me after saying he didn't have time to train. I needed to get something off my chest..
Is it Too Difficult to Become a Pro? Wouldn't it be smarter to take an easier route, with less competition? I’m lacking motivation when I play, should I be a coach? This 17-year old recently hit a crossroads in his life and doesn't know what to do. The majority of your friends/family are taking the easy route, so why be different? It's the #1 question that we get asked when player talk to us: How can I become more confident? "My team always loses. How can I win more?" It feels like I am "used to losing" - is there something I'm doing wrong? How do I get over failure and rejection? It happens to everyone but getting over it quickly is the hallmark of any successful athlete. How Do I Use Effective to Become a Professional Footballer? To the players that always ask how to get a trial, how they can find opportunity and how to email clubs, read this first. Open trials and a frank article on what they are all about. The coach doesn't play me, what should I do? Its not the best feeling when you feel like you're in the team to warm the bench, but here are a few pointers. How do I get over a bad performance? Sometimes it feels like the worlds collapsing around you. It could be your friends, family or guidance counsellor but this is what happens. I have a good idea for the site! Who do I send it to? You have a voice and we'd love to hear from you. Our community can only grow with your contribution. I have questions I’d like answered about my training program, who do I contact? 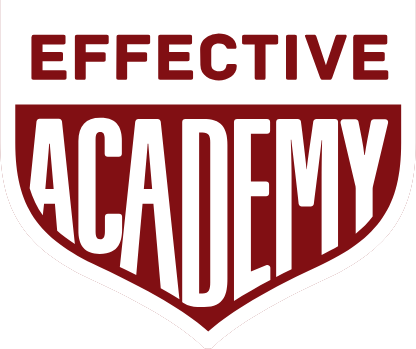 The Effective Academy is now available on iOS and Android! Is Effective offered in any other languages than English?